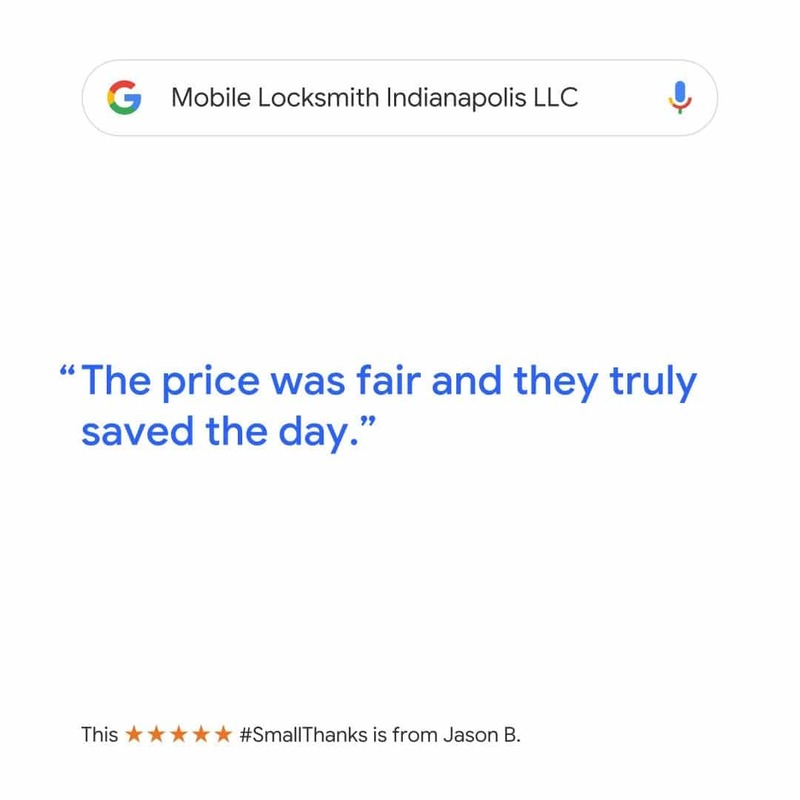 Reviews provide valuable information about Mobile Locksmith Indianapolis to both business and customers. My technician Ben was quick, nice and very pleasant. I highly recommend, especially if you need help quickly! I was at work and my keys fell off my keychain. It was my last key. It was on New Year's Eve and I had another job to go to. They answered my call quickly and within 5-10 minutes the technician arrived. He was able to have everything ready under 1 hour. I now have a better key and new fob that works! I still need a new spare. But I know who I am gonna call. 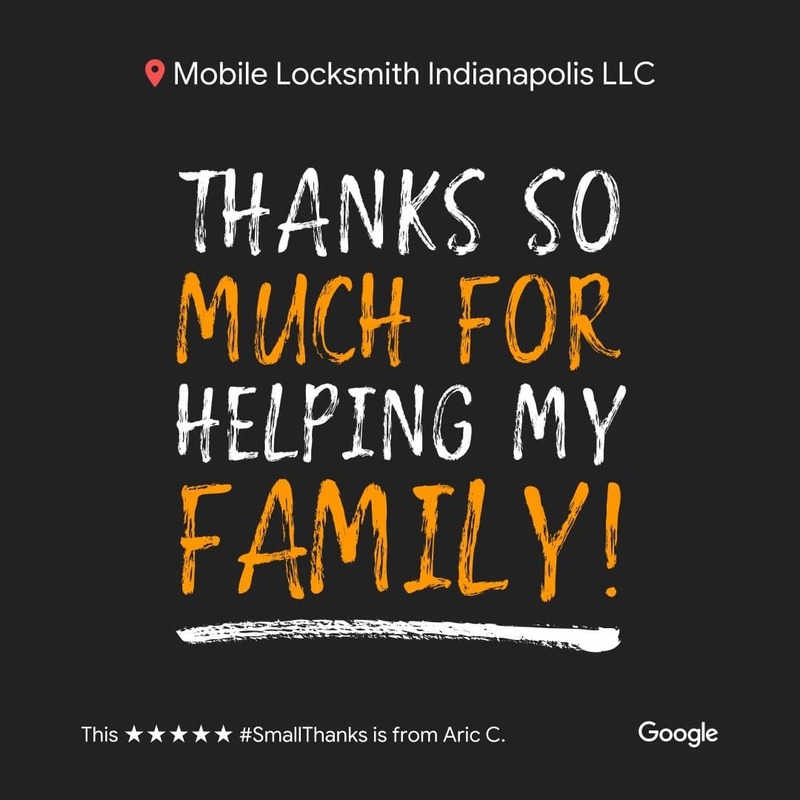 Mobile Locksmith! I was at work and my keys fell off my keychain. It was my last key. It was on New Year's Eve and I had another job to go to. They answered my call fery quickly and within 5-10 minutes the technician arrived. He was able to have everything ready under 1 hour. I now have a better key and new fob that works! I still need a new spare. But I know who I am gonna call. 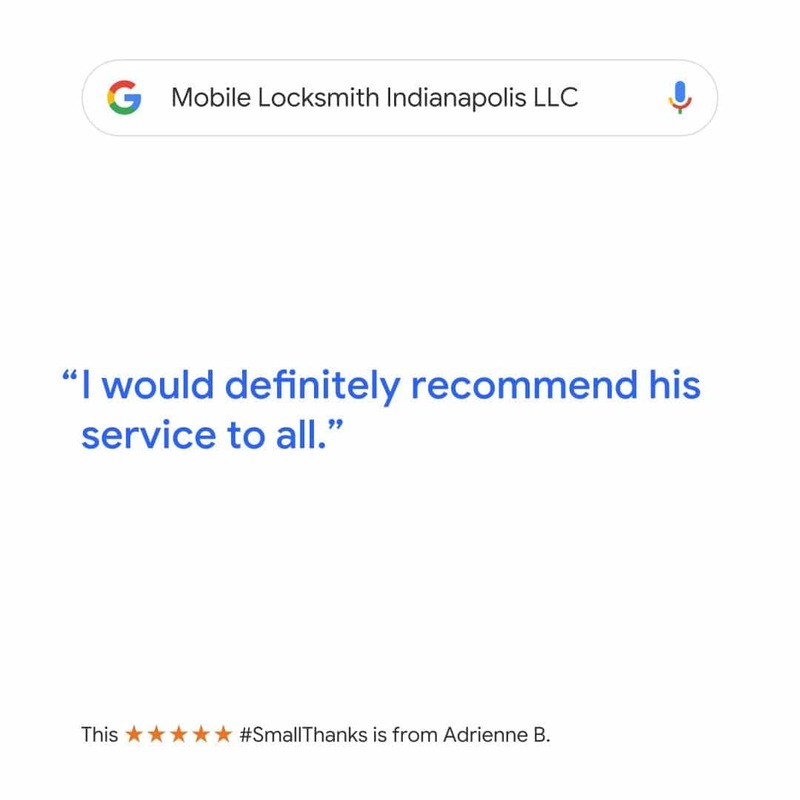 Mobile Locksmith! 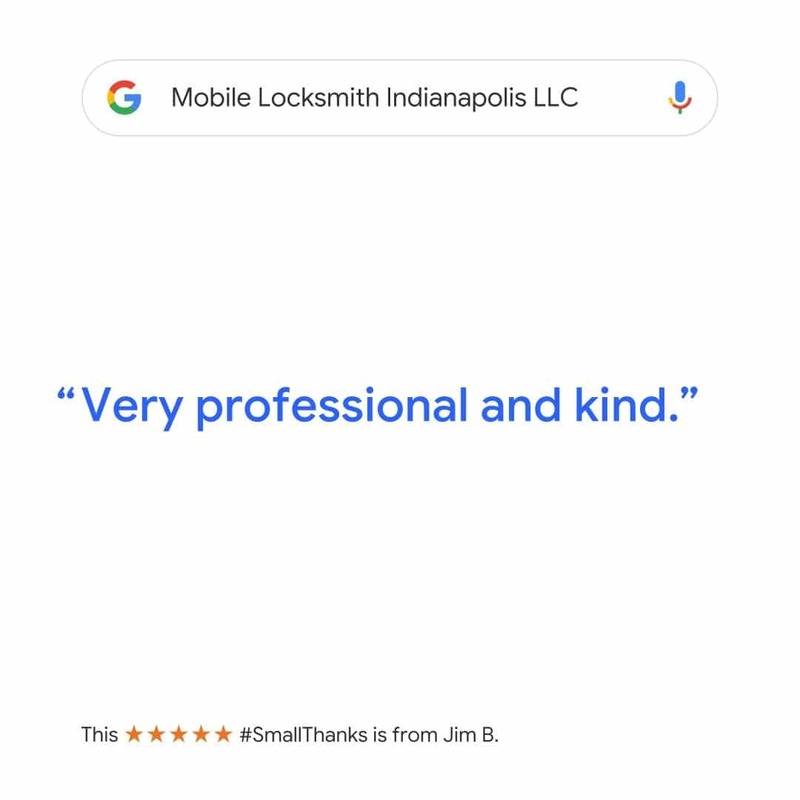 Very quick and extremely professional. He was very patient with me when I had questions and was able to make copies of the key I requested within minutes of coming out to my location. I absolutely would recommend this service to anybody. Thank you so much guys!! Igor was very quick and very generous. I would recommend him to anyone needing service. Thanks for all your help. 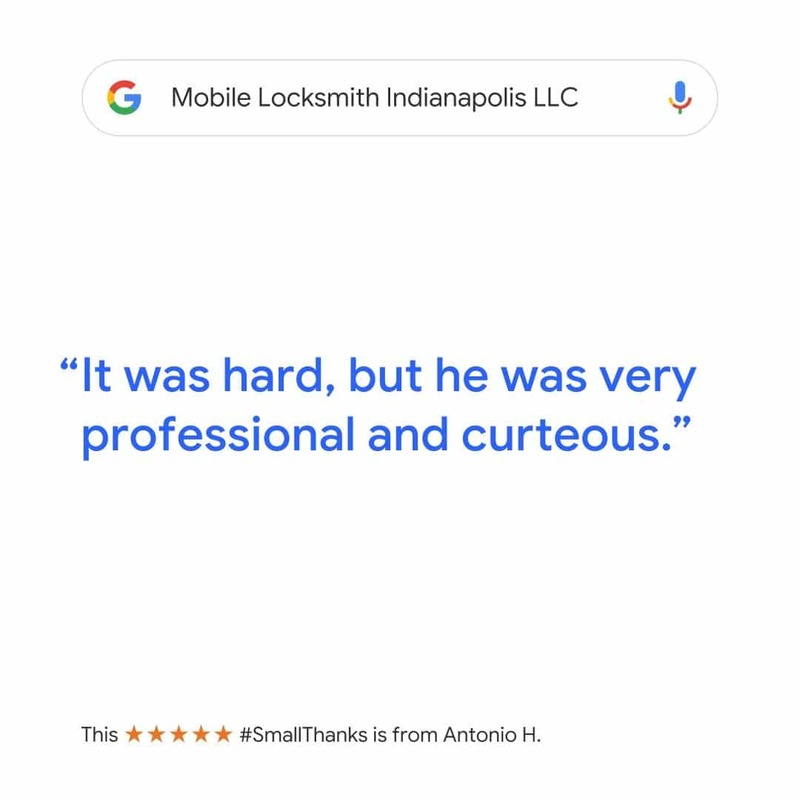 Even though I had to get my locks changed on a Sunday, Igor was very prompt and courteous. 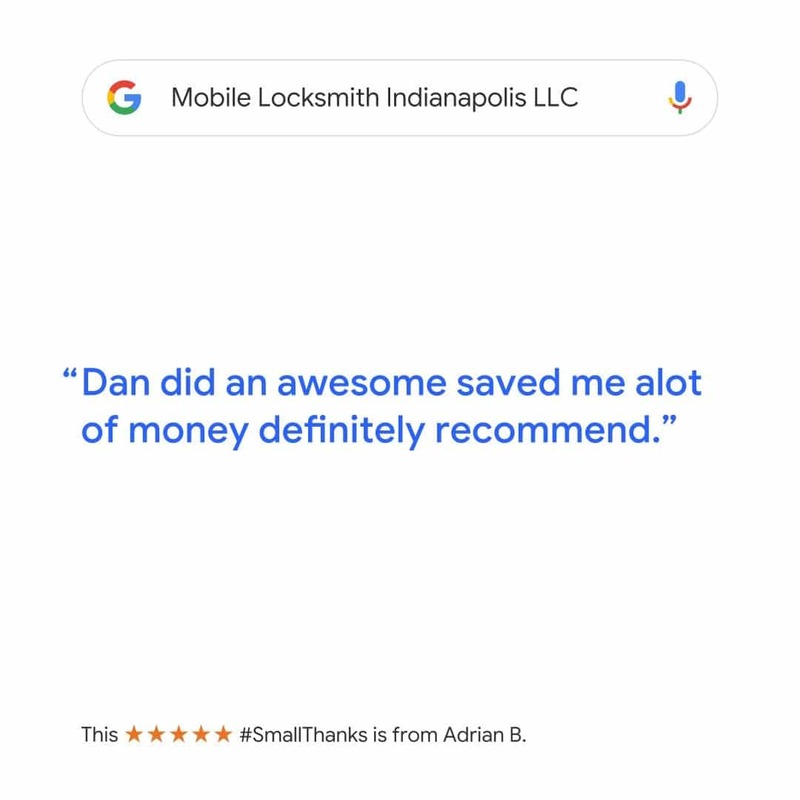 He quickly changed my locks and helped me out tremendously!